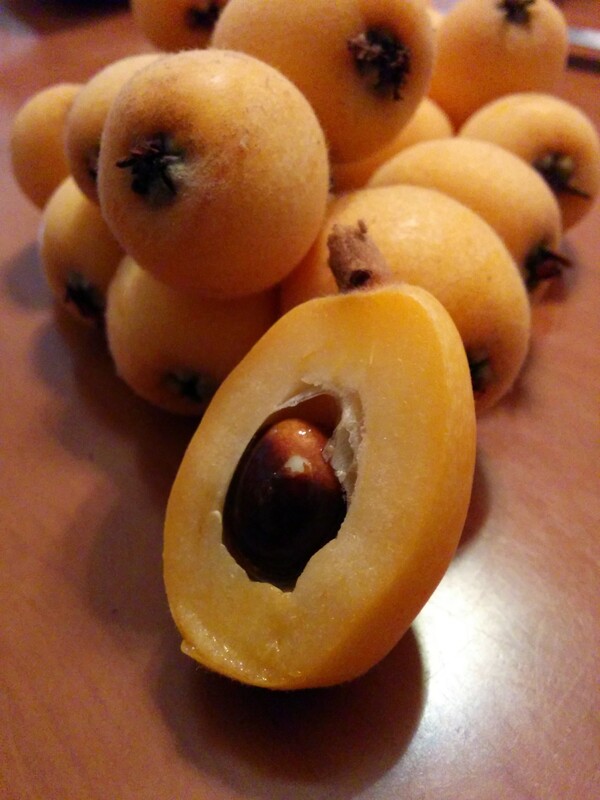 Pipa are delicious fruit that remind me of apricots –same size, same texture, very similar flavor. 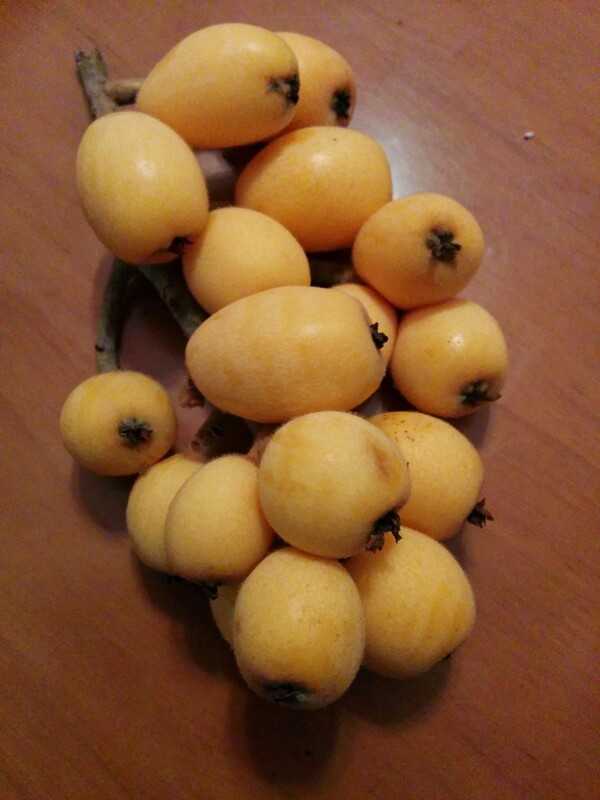 You may have heard of these as loquats, which I only recently learned is what they’re most commonly called in English. They grow in bunches on a thick stem. Here’s a shot of what they look like when they’re cut open. 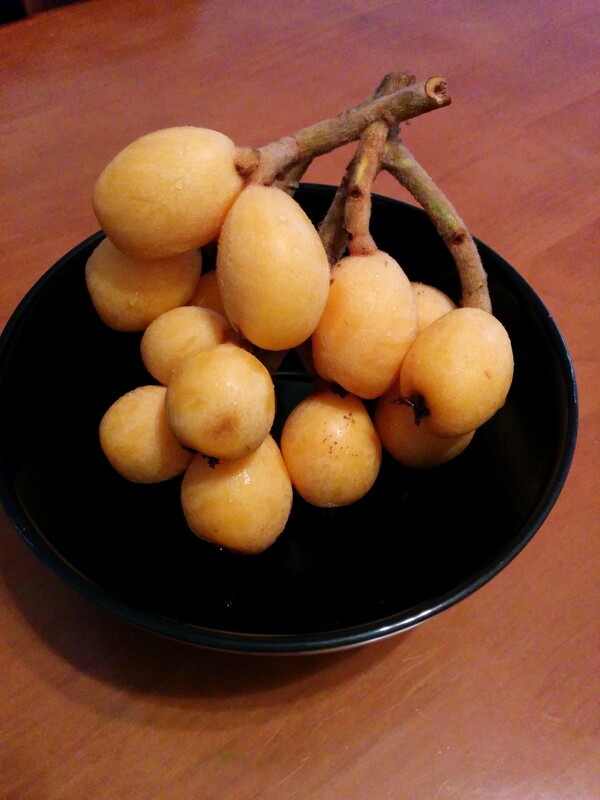 Apparently, these are popular in Hawai’i, so perhaps you’ve tried them if you’ve ever visited the Aloha State. I’m sure if you find them on the mainland of the U.S. or in other non-Asian countries, they’ll be ridiculously expensive. But if you happen to be in southern China, their native home, you can enjoy them for a more reasonable price. We normally eat them as fresh fruit, but we also slice them to top pancakes, or chop them for baking. My daughter thinks they’d make fantastic jam, but I haven’t tried that idea yet!